Some people have been talking about something strange roaming the woods at night, something wild, something fierce, in more ways than one. Of course, it concerned you when your daughter came home with that scratch from a weird dog in the woods but it healed over just fine so you didn't think about it after a while. Your typically sweet little girl has been acting a little strange. This Sunday you found her sitting in front of the fridge, she had the wrapper of a summer sausage tossed aside and was wolfing down the sandwich meat you had bought for the week. When you suggested she try munching on some grapes instead of taking in a week's worth of sodium she just looked at you and snarled. You've been aware of her mood changes before but a few weeks after the encounter with that dog her moods have been erratic tending to trend to the brutal side. The full moon is coming up tonight, it's time to face that she might be transforming into a full blown wolf tonight. You should probably let her roam the woods, who knows what might happen in town. And this way she just might bring you home a rabbit in the morning, wouldn't that be nice! We all know werewolves are the coolest mix of human and beast so when your daughter wants a wild costume for this Halloween, make sure she looks fierce with this raw costume. 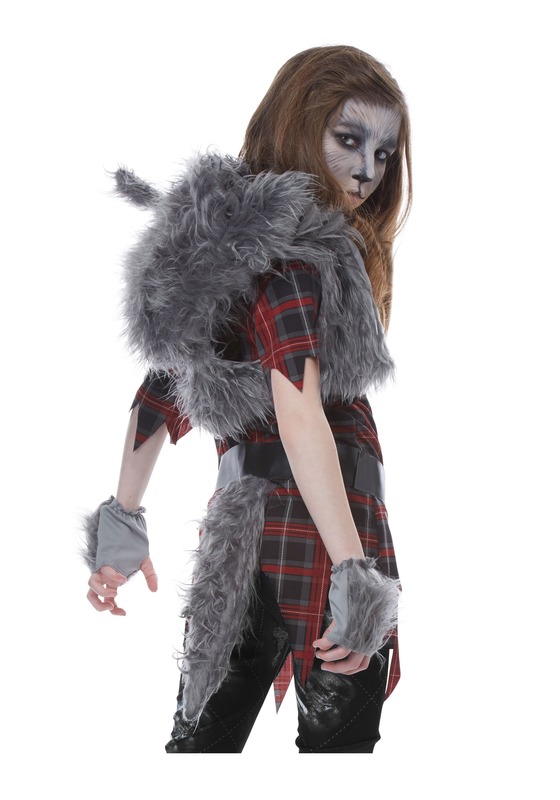 With a torn plaid shirt, furry gray tail and hood with ears she can be transformed 24/7 rather than only on the full moon. 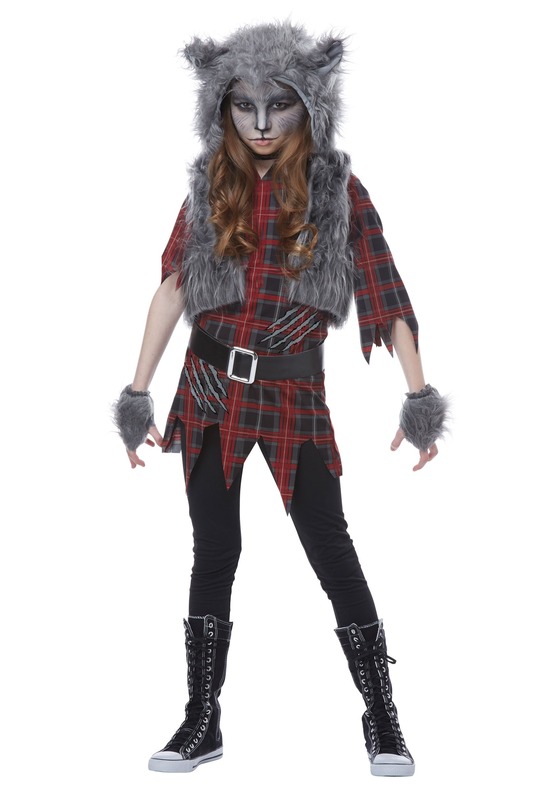 Now that she's a wolf, bonding with your daughter is easy. All you have to do it bring some steak tartare to the back yard, throw back your head, and howl at the moon.